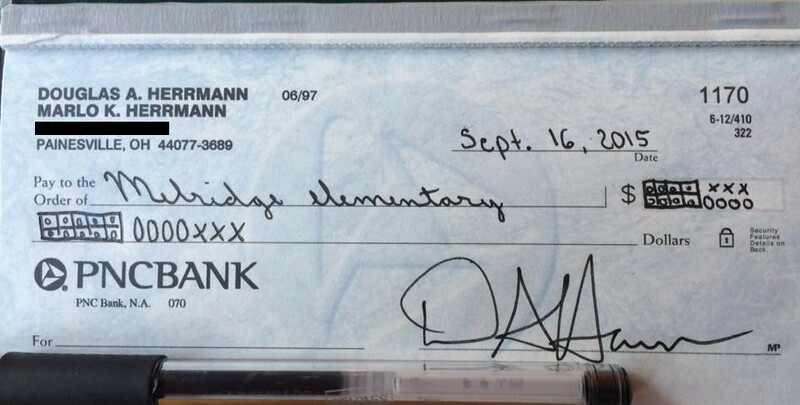 He didn’t actually send the check to the school, but the post struck a nerve. It’s been shared more than 25,000 times as of this writing and a whole bunch of articles have been written about it. Herrmann is already scheduled to appear on Fox & Friends Wednesday morning. Not at all. Instead of trying to figure out what his child was learning, Herrmann did what so many parents do these days: He complained about something he doesn’t understand. I’ll be honest with you: I didn’t know what “ten-frame” cards were and I wasn’t sure what he was trying to write in his check. Then I spent a couple of minutes doing the research he couldn’t be bothered to do himself. So let me back up for a moment and try and explain this. It’ll take a second, but it’ll be worth it, I promise. A lot of adults (myself included) learned math through repetition and algorithms. We memorized times tables, learned to use “zero” as a place holder when we multiplied big numbers, and subtracted by sometimes “carrying” numbers. If that sounds familiar to you, can you explain why zero was a place holder or what “carrying” a number even means? If I ask you to calculate 12 x 11 in your head, could you do it? Maybe. But I’ll bet a lot of you need a few seconds. There’s a really easy way to solve that, though. Instead of trying to answer 12 x 11, just break it down a different way. Figure out what 12 x 10 is — which should be easy — and then just add another 12 onto that to get the answer of 132. Over the past several years, what math teachers have realized is that kids who relied on memorization, algorithms, and calculators had a really hard time understanding math as they got older. Classes like algebra become scary for those kids because, all of a sudden, they couldn’t just plug things into their calculators. Variables got in the way, they had to start manipulating equations, and they just hit a wall. I’ve had a lot of those students in my classes over the years. The one thing they had in common was an over-reliance on formulas and methods. They all wanted to know the “right” way to solve a problem, when the truth was that there were a bunch of ways to solve them. Have you ever seen the show Chopped on Food Network? The competing chefs are handed a basket of random ingredients every round and told to make an appetizer, entrée, and dessert. There are no recipes. There are no step-by-step instructions. They just have to make it happen using whatever cooking knowledge is in their heads. The best contestants are the ones who see those ingredients and know instinctively how to use them and combine them. That’s what great math students learn how to do, too. They see a problem and they just know how to manipulate the information at their disposal. They knew how to step away from the algorithms. They didn’t need a “recipe” because they understood how to mess around with the numbers to get the answer they wanted. So the question is: How do we teach all kids to think that way? The answer — which is addressed by the Common Core standards — is that we have to start teaching math differently, and it has to start when kids are young. Yes, we should still teach the times tables. Yes, we should still show them how to long divide. Yes, we’re aware everyone has a calculator now. But we also need to show kids how to manipulate and rearrange numbers so that they can develop those important mathematical instincts. Common Core doesn’t dictate curriculum. It only sets standards that kids ought to meet. Herrmann, in particular, was frustrated with something called “ten-frames.” What are those? They’re a handy way to think about numbers in groups of ten. 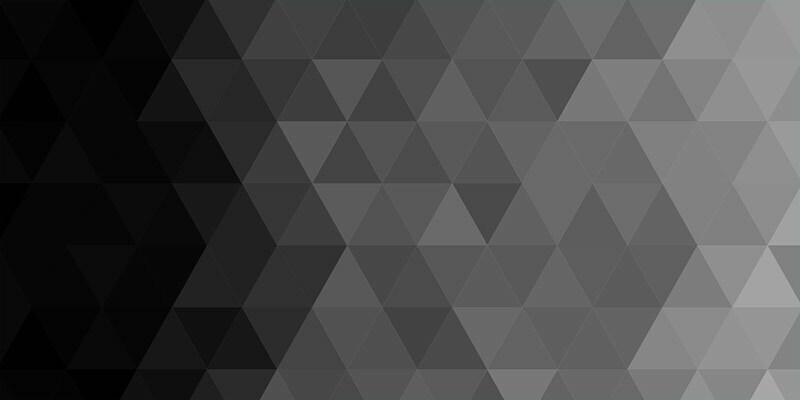 Quick question: Is there an even or odd number of dots in that image? It’s odd! And I hope you knew that just by looking at the image instead of counting up to nine. You saw the picture and realized not every dot has a partner. That’s all it took. Here’s another question: How many dots are in the picture below? There are 27 dots. And, again, I hope you answered that really quickly. The lesson here is that when you think in groups of ten, the problem becomes so much easier to solve. You shouldn’t have to count individual dots. 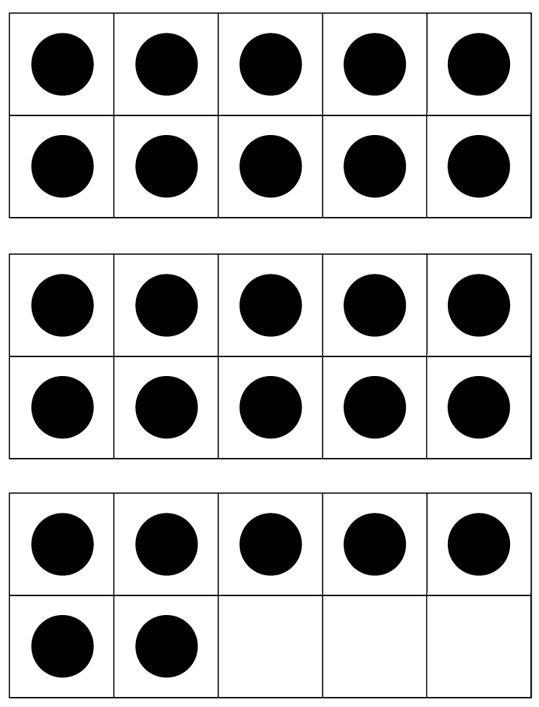 Last one: How many more dots do you need to get to ten? Those are ten-frames. They’re really neat. And they’re a nice way to show little kids how to count in different ways. “Common Core,” by the way, doesn’t even say you have to use ten-frames. For second graders, it says students should learn the base-ten system. There are all sorts of ways to teach that, whether it’s ten-frames or old-school addition. All are acceptable. And the more ways you learn how to solve a simple problem, the more tools you have available to you when the problems get more challenging. The problem with the method people like Herrmann learned is that it didn’t work when the math got harder. Strong math students find ways around that, but many students just give up on math altogether. That’s why your parents, if they struggled with math, couldn’t help you with your homework by the time you reached high school. So let’s go back to Herrmann’s “Common Core” check and see if we can make sense of it. That place on the right, where you’re supposed to write the check amount? He uses a ten-frame with only eight boxes. But technically, I guess it says $8.43. ($8 from the eight boxes, 40 cents from the four circles, and 3 cents from the three x’s.) At least that’s what I’m assuming since the circles and x’s are his own creations. That line where you’re supposed to write in the amount? There’s a properly filled-in ten-frame, followed by four circles, and three x’s. So I guess that’s $10.43. It’s a good thing he didn’t submit the check since he couldn’t even write out matching amounts. Common Core isn’t the problem here. The problem is all the parents who immediately dismiss better, more effective ways of teaching math because it’s “different” from what they learned. If Herrmann doesn’t understand what his son is doing, then they should sit down together and work through it. Read the textbook. Go to Google. Ask the teacher for help. Any of those things would have helped and none of them would have taken very long. Because, to people like him, ignorance is hilarious. He’d rather see his son learn math the old-fashioned way, putting him in danger of struggling in his math career as he gets older, instead of course-correcting early in his education when everything is still fresh. To answer the obvious rebuttal, yes, a lot of adults are able to get through the day just fine even though they were never very good at math. But why wouldn’t they want their children to aim higher, understand things better, and think more critically? I’m not a shill for Common Core. I’m just someone who understands what it is, unlike Doug Herrmann, who couldn’t explain it to you if he tried. [Common Core is] not a conspiracy to make your kids dumb; it’s actually a conspiracy to make your kids smart… It’s about helping them work confidently with numbers and mathematical concepts so they don’t have to go through life with a cheat sheet hidden in their back pockets. It may not look that way to parents who are struggling to decipher the homework their children bring home, but if we commit to teaching math this way we can actually change the way people think. I spent seven years teaching high school math. I’m a National Board Certified Teacher. I’ve written multiple posts explaining this “new” math (that really isn’t new at all). I’m telling you this new way is so much better for students, but we need parents willing to get on board with it instead of complaining because it looks weird. At the very least, it sends the wrong message to really impressionable kids.